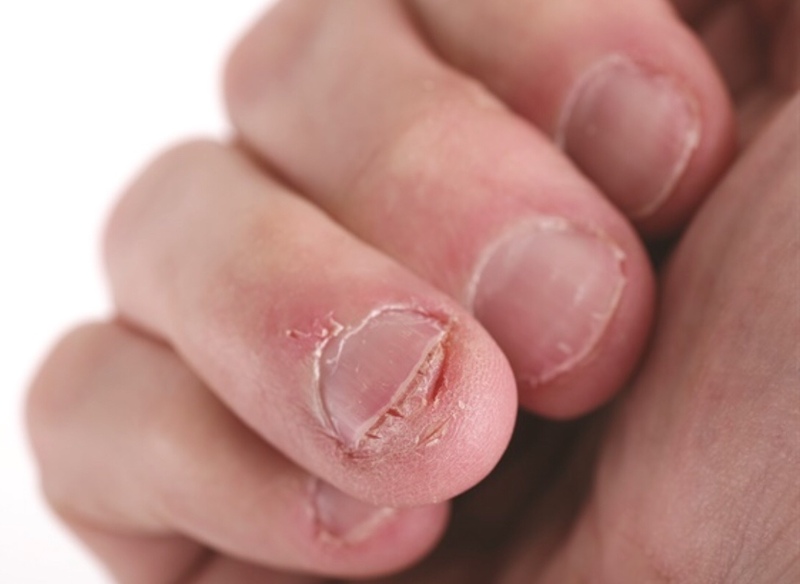 Is your nail biting a nightmare? Nail biting (onychophagy) is a habit many would like to stop but a difficult one to break. There are thousands of children and adults in the UK suffering this and according to American Psychiatric Association, nail biting is now recognised as a sub-group of OCD. One of the first steps to quitting is recognising your trigger. Think about when you bite your nails. Is it when you’re anxious, bored, hungry or stressed? Knowing this and addressing it can be the first step to stopping. I recently conducted some research on this subject, asking former nail biters to tell me their triggers and top tips for quitting which are listed below. 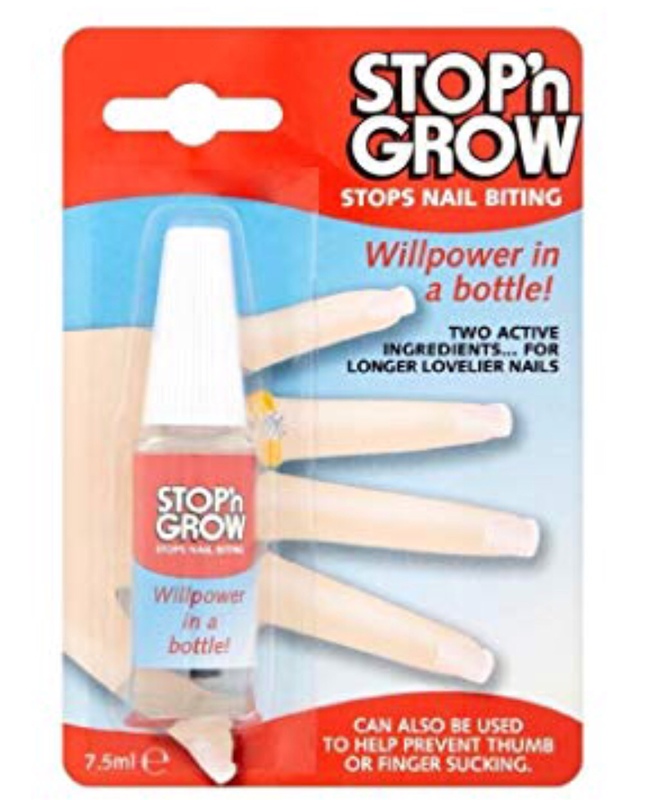 It’s a fact that due to constant stimulation, nail biters nails grow faster than non-biters so if you can keep your fingers out of your mouth long enough you’ll really notice them grow. The secret is then keeping them beautiful without eating them! According to the book ‘Psycho Cybernetics’ first published in the 1970’s, ‘it takes 21 days to break a habit’ so there’s hope! 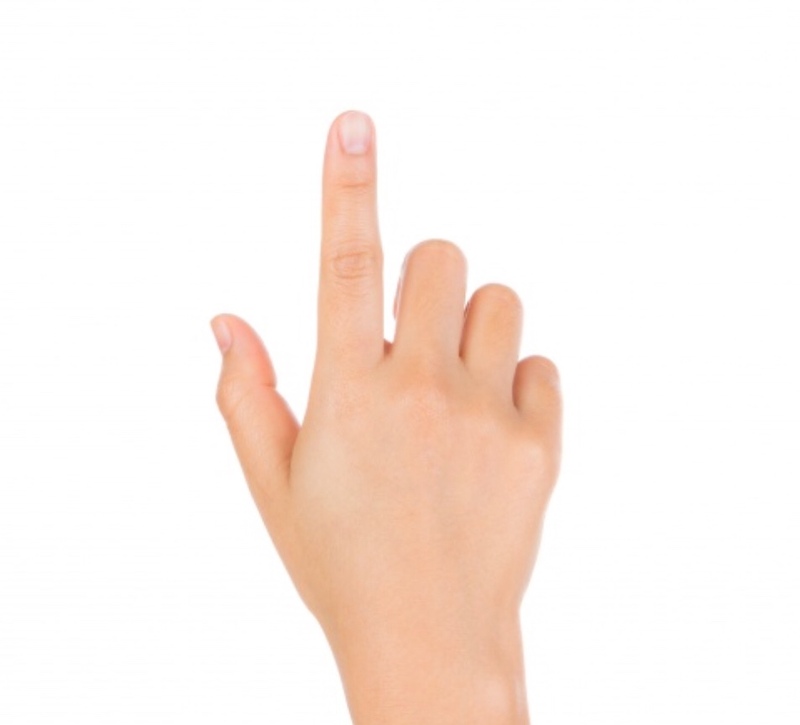 Based on the results of my research, here are the top ways to put an end to your nail biting. Paint them a colour Ok so they might look ridiculous at first but stay with me here! 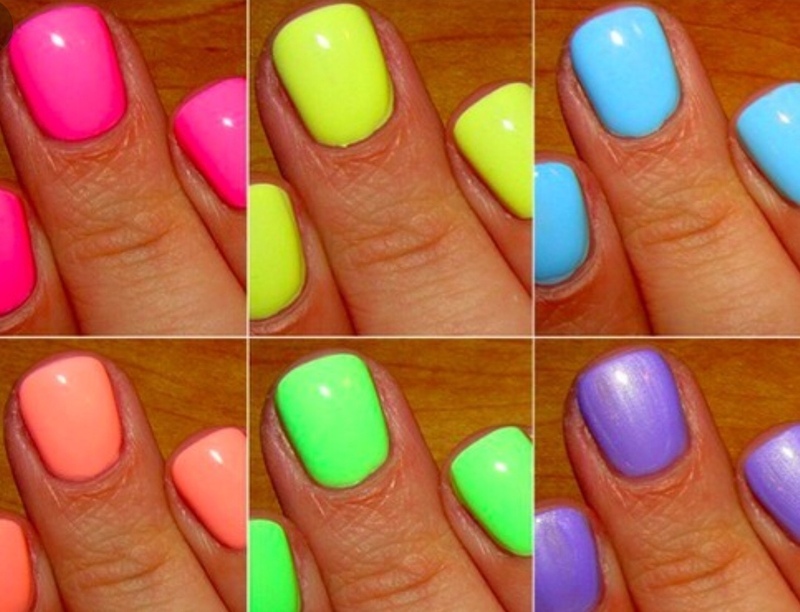 Psychologically, the brighter the colour of the nails, the less chance there is of you putting them in your mouth. Grow one at a time if you have to. As a small child I was a nail biter. The promise of my first gold ring was the push I needed. I decided to only bite my thumb nail and eventually stopped that too. Allowing myself just 1 nail to nibble on was enough and eventually my bad habit was broken forever! Regular gel polish/acrylic appointments While this worked for many, I would also imagine the urge to pick off your enhancements and causing horrendous damage to your nail plate) too tempting. The contributors said the ‘thickness’ of the gel polish and acrylic deterred them from biting. 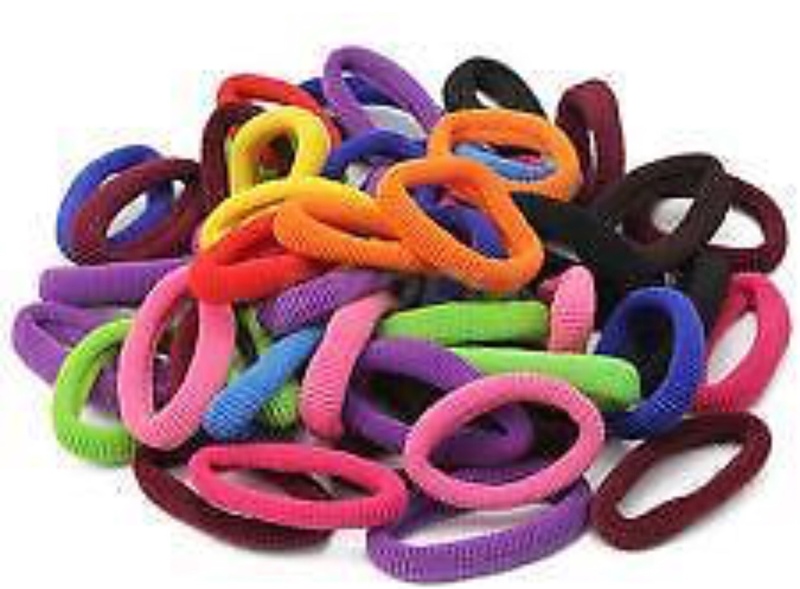 Wearing a hair band to play with was also suggested by many of the army of ex-biters. Flicking and fiddling with a hair band around their wrist was the ultimate distraction for some. So where do you go from here? These simple suggestions are from the very people who stopped biting their nails, so take note! Try one suggestion at a time, try them all, choose 2 at a time, whatever you like but give them a go – you have nothing to lose. And if you manage to break the habit, get in touch. I’d love to see your results! Do you want to let those freckles shine bright or do you want to cover your broken veins? Foundations come in a variety of coverages and finishes. Know what you want it to do before you hit the nearest make up counter. A good consultant should be able to help with this by asking you some key questions such as ‘what sort of coverage do you like?’ There’s full coverage foundation for covering scars and birthmarks, medium coverage that you can ‘build’ and light coverage that can be ‘barely there’. Add to that the different formulations such as cream, powder, mousse and mineral and you’re forgiven for getting it wrong for so long! Decide what you want it to do and in which formulation. Your foundation isn’t a mask. Nor should it be a different colour to your neck. It’s not your foundations job to change the colour of your face so it should blend seamlessly. If you’re having to colour your neck to match, chances are you’ve got the wrong colour. How many times have you got a foundation home to find it’s totally wrong? Department stores and shops often have unflattering fluorescent lighting and you might find that what looks good while you’re there doesn’t look so great when you get home! Ask the consultant to put some on you (usually on the jawline) and go to the windows if there are any. If not, ask for a sample or put some on and go outside to check. Remember, we’re trying to match it to your neck. Many high end foundations aren’t cheap so you need to know the colour is EXACTLY right before parting with your hard-earned cash. If you’re buying off the shelf, this can be even more difficult as you’re on your own! Ok so this isn’t necessarily about foundation but I wanted to add a word about colour. Foundation alone can look flat. It’s the job of your blusher and bronzer to add colour to your face, not your foundation. 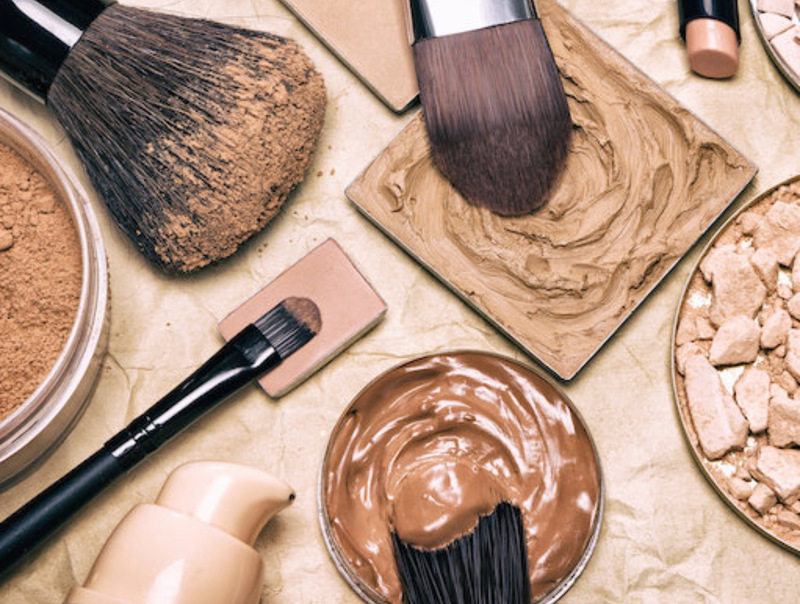 Formulations for foundations are becoming more and more sophisticated and many now have light reflectors, sun protection, moisturising properties, anti-wrinkle agents to name but a few. Go back to no.1 to decide what it is you want your foundation to do for you to help you decide. So there you have it! A quick guide to choosing the perfect foundation. Hopefully this will help you in your buying decisions and stop you wasting your hard-earned money on products that aren’t right for you. Do you wish you had beautifully groomed nails? Choose the right file! 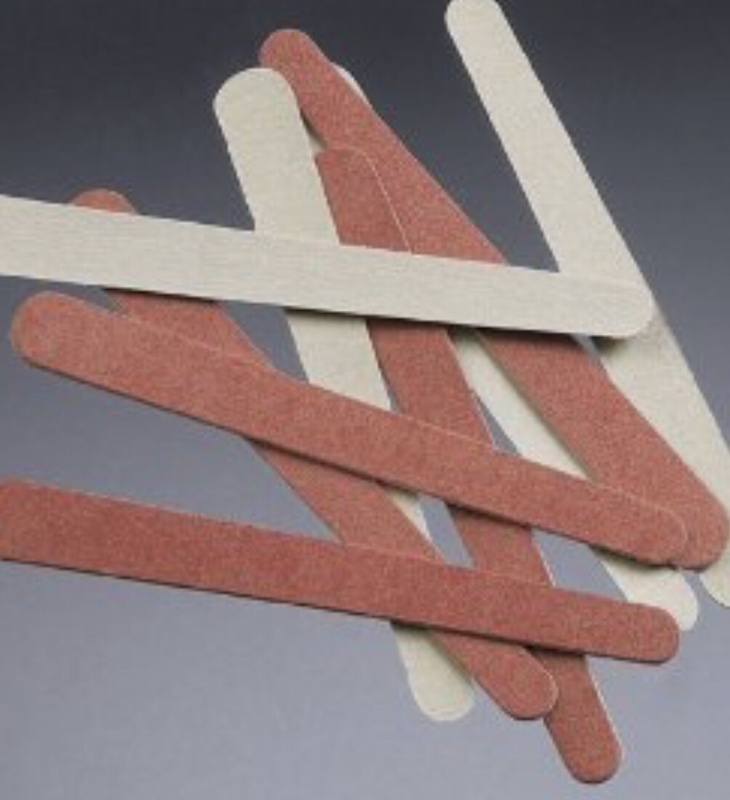 Files come in a variety of grits (just like sandpaper) Minimise damage and over-filling by trimming your nails first with nail clippers and then filing the shape with the pale side of an emery board. For an oval nail, file from the side to middle. Never saw! Throw away that metal file you got in a Christmas cracker 20 years ago. It’ll shred through your nail and cause damage. Oil, oil, oil Did I mention oil? 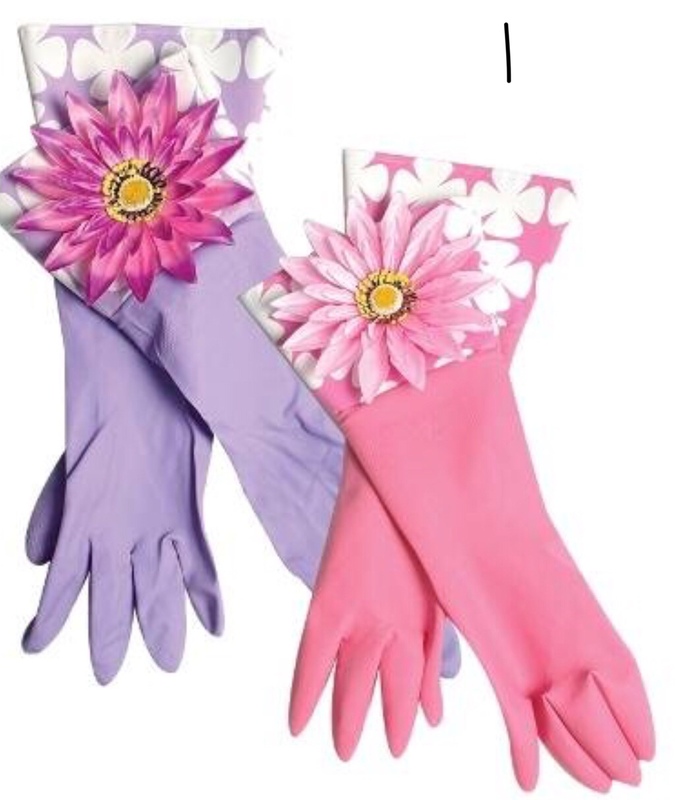 It helps keep the nails flexible which helps absorb shock. It’s great for your cuticles*, can help with peeling and will nourish your nails. Try solar oil or Dadi oil. They’re beautiful! Try a nail treatment. We advise all our clients to wear a nail treatment specific to their problem. A beautiful treatment for post-gel or acrylics is Lavender Base by Bio Sculpture. 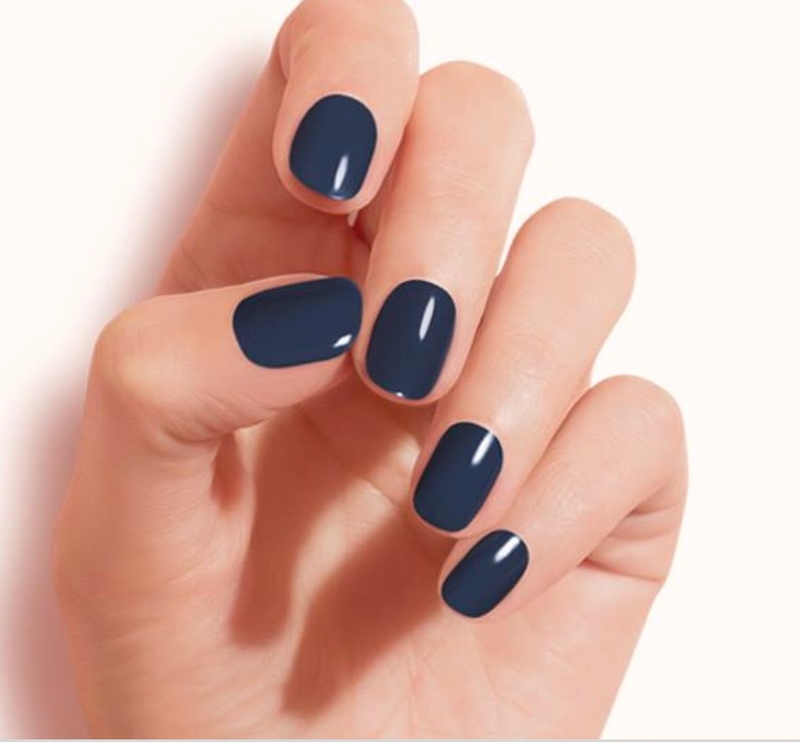 Take a look at the OPI range too at https://www.opiuk.com/They have a plethora of fabulous treatment to keep your nails in check. Look after those cuticles!That skin around the base of your nails (which isn’t actually cuticle but we’ll save that for later) has an important job to do. It keeps nasty germs from entering the ‘living’ part of your nail (the matrix) so it’s important to keep them supple and moistured. After soaking your nails in warm water, gently push back the cuticle* with an orangewood stick or cuticle pusher. Don’t be tempted to cut it off! 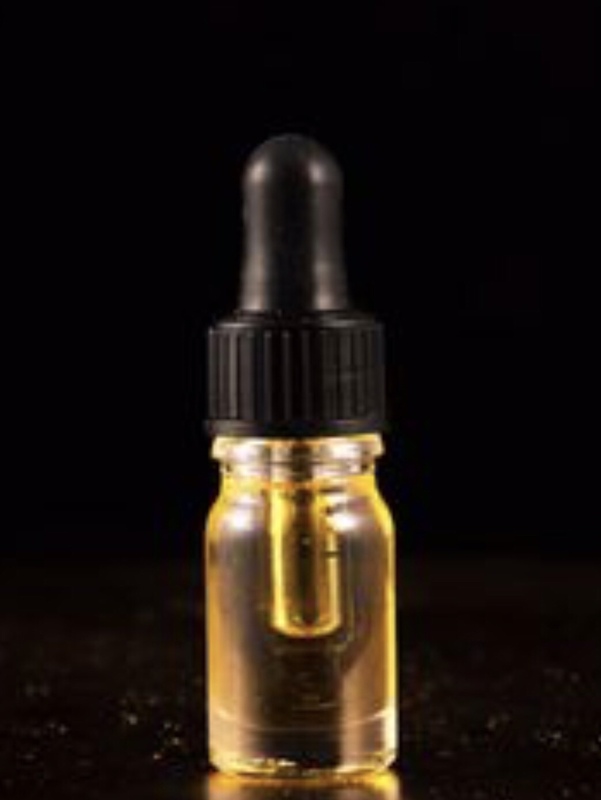 There are lots of cuticle removers on the market but I suggest doing a trial nail first as many of these contain potassium hydroxide or sodium hydroxide which could cause an allergic reaction. And there you have it. 5 simple tips to help keep your nails groomed. 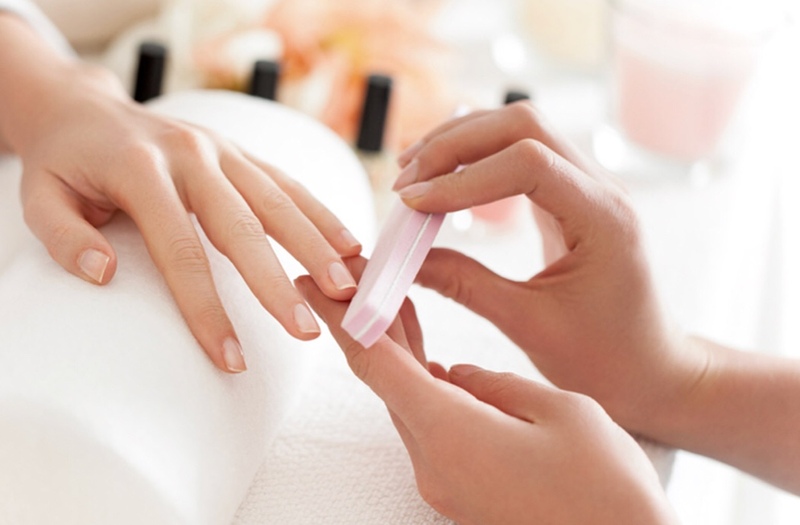 Ideally you should be visiting a reputable salon for professional manicures, but these are all easy things you can do at home to do help to keep your nails strong, tidy and ready for painting. * the true cuticle is a white substance on the nail plate that is often seen when the eponychium (that was previously thought to be cuticle) is pushed back.